We were hungry for an epic long-weekend backpacking adventure. 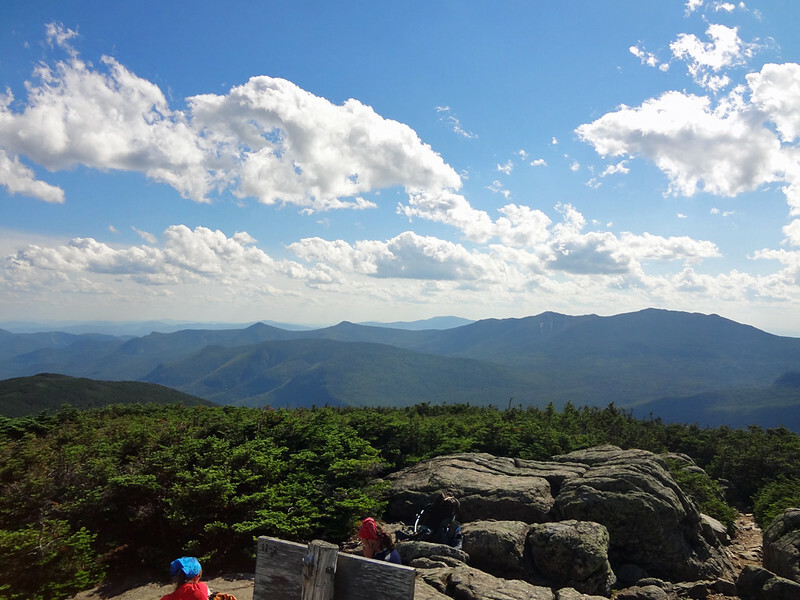 The White Mountains aren’t exactly in short supply of rugged climbs rewarded with grandiose views, and while we didn’t want to exclude this from the menu, our appetite was for something different. One look at the suspension bridge arching over the Wild River, gateway to the Highwater Trail, the gurgling water below splashed in sunlight, and we knew there would be no regrets. Even if we were about to become mosquito blood donors. Our adventure began off Route 113 in Western Maine, crossing the Wild River to set out on the Highwater Trail. The Wild River Wilderness, coupled with the Appalachian Trail’s traverse of the Carter-Moriah Range, offers the best of both worlds—high alpine climbs with a leisurely river walk through an enchanting forest. 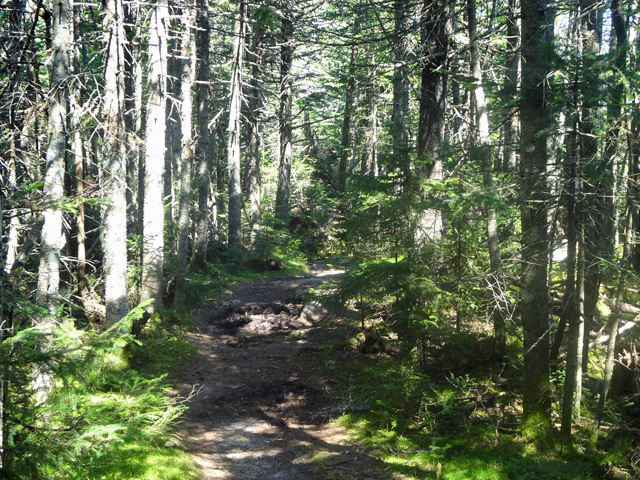 Several trails connect high to low (Shelburne Trail, Moriah Brook Trail, Black Angel Trail, Rainbow Trail, Wildcat River Trail), enabling hikers and backpackers to plot various courses fitting their timeline and desired difficulty. Our initial plan (note, the key word there being “initial”) was to go big and do the largest possible loop, bringing us through Carter Notch. 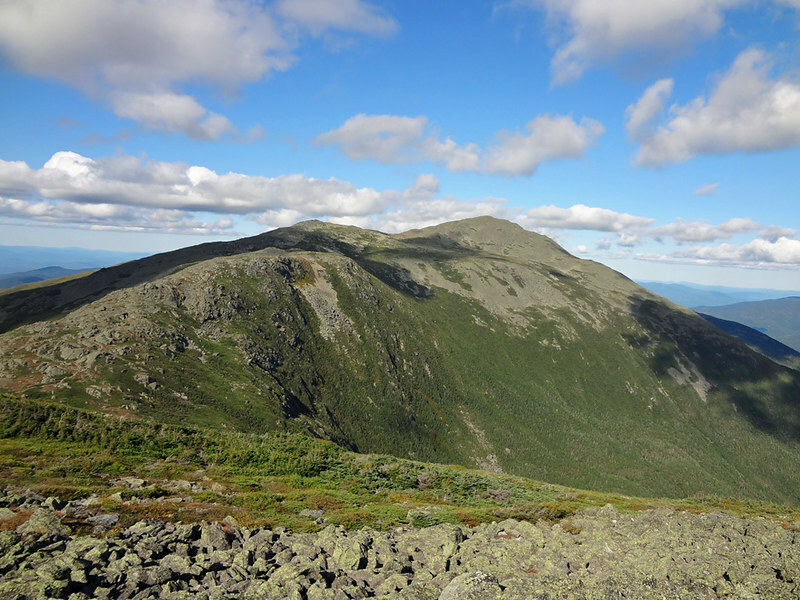 Common sense dictates climbing the high terrain first while legs are fresh, but if you’ve been following Northeast Hikes for a while, then by now you know that my decision making is, well, let’s go with “unique,” shall we? Eyeing a forecast that suggested thunderstorms on the first day, and thinking that the Imp Campsite would be more crowded on the Saturday evening of a holiday weekend than it would Sunday, my brother Brad and I started on the Highwater Trail along the Wild River. The Wild River along the Highwater Trail. The Highwater Trail is pure tranquility. 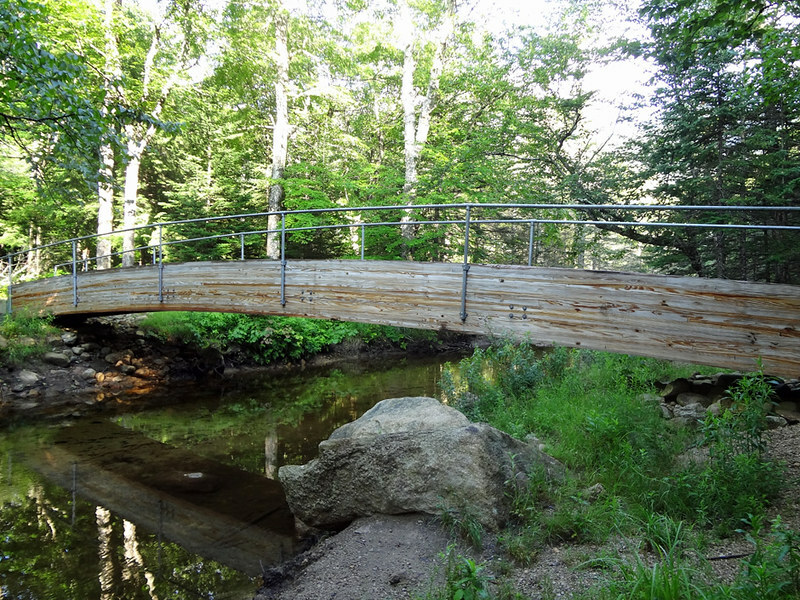 From the Maine end, it’s a flat, easy-going walk along the river on a well-maintained trail. I was amazed how clear and easy to follow the trail was, especially since we went five miles on a holiday weekend before encountering another person. We found ourselves taking forced breaks simply to slow down—or, at least, that was the excuse, the river offering ample opportunities to take a load off. Most of the Highwater Trail is clear sailing. I had to take a photo here because it was one of the rare spots where there was an incline. The Wild River Wilderness officially begins soon after the junction with the Shelburne Trail. The sign on the bottom states that hang gliders are prohibited. Hey, don’t shoot the messenger. When the Highwater Trail crosses into the Wild River Wilderness, there’s a sign warning hikers of primitive conditions ahead. This seemed like a funny way to describe the backcountry, as if I’d come this far expecting a Holiday Inn Express, but I soon discovered that it meant the trail wasn’t as well maintained for a stretch of about a mile or so. It’s like Where’s Waldo, except you’re looking for the trail. To be honest, I came into the Wild River part of the hike expecting “primitive” conditions throughout, and, considering the seemingly low-volume of hikers that traverse this area, the trail crews should be commended for how well maintained most of the Highwater Trail was. If you’re planning a trek along the Highwater and Wild River trails, it’s also important to note that there are numerous water crossings over the river and its various tributaries. During normal water levels, these are easily accomplished via rock-hopping, downed trees, or good old-fashioned fording; however, caution should be taken during times of high precipitation. Under normal conditions, the water crossings such as this one on Moriah Brook, are easily achievable. Of course, it helps if you can walk on water. The numerous brooks and streams also provide an endless supply of options for refilling/filtering drinking water. As for camping, there are frequent stealth sites along the river. Older maps will show two camping areas with shelters at Spruce Brook and Perkins Notch; however, the lean-tos and privies have been removed from these locations. Tenting is still permitted at both. Spruce Brook is a nice spot along the river while Perkins Notch is after the Wild River Trail turns away from the river. Just before this turn takes place, there’s a stealth site that just might be the best spot to camp. The water source at Perkins Notch is No Ketchum Pond, which is a generous name for a bog. We filtered water from the pond and, aside from the pint of blood I donated to the local mosquito population, were no worse for it. That said, a fill-up along the river before turning inland would be more desirable. On the plus side, the peepers in No Ketchum Pond serenading us to sleep were incredible. I’ve camped along many ponds, and never have I heard any as boisterous. Perkins Notch, reservation for two. The 14-mile-(ish)-hike along the Wild River to Perkins Notch is ideally suited for fall when the trees are in full bloom. The vibrant greens of late spring were also a treat—we just didn’t bring nearly enough deet. The insect repellant wipes are good for saving pack weight, but I should have brought the whole box. Or two. As a result, we found ourselves racing out of Perkins Notch on a misty morning, chased by hordes of carnivorous insects. To prevent needing a blood transfusion, we decided to head for the mountains via the Rainbow Trail instead of following our original plan of circling through Carter Notch. The Rainbow Trail begins by gradually ascending through a stand of birches. The Rainbow Trail is a 2.5-mile climb to the summit of Carter Dome with 2,300 feet of elevation gain. 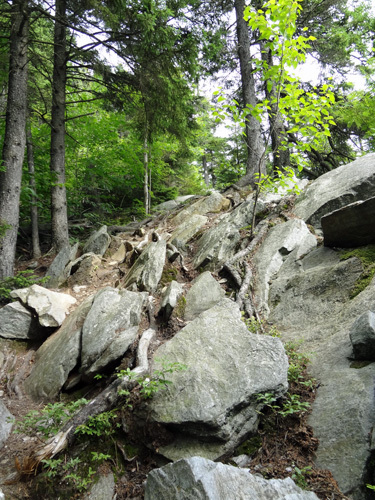 For the main ascent, it’s a straight shot without switchbacks, beginning with a moderate climb that gets steeper; however, it never becomes overwhelmingly steep, nor are there any ledges or rock scrambles that could pose hazards. 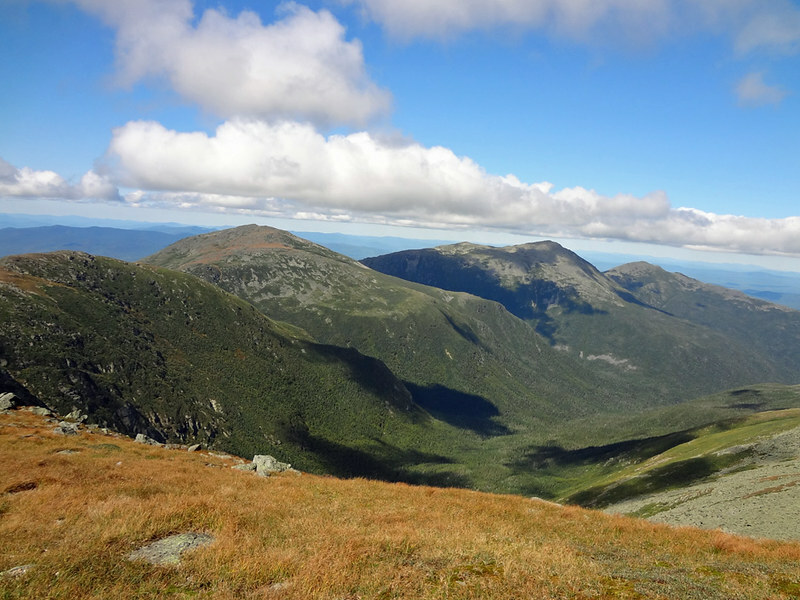 For the most part, the Rainbow Trail is standard fare on the White Mountains difficulty meter. 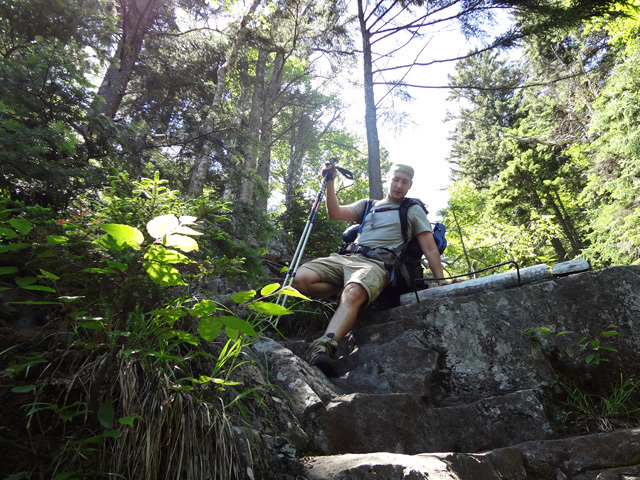 For backpackers, it’s a pleasant climb compared to what the AT has in store between North Carter and Imp Mountain. From the southern knob, the trail cuts through the krummholz to the right before turning back up the mountain, gaining 600 feet in elevation over the last mile. By the time we reached the summit of Carter Dome, elevation 4,832, the fog had burned off the mountaintops and from a lookout, we had partial views of Mt. Washington and the upcoming Mt. Hight. Mt. Hight on the right, followed by South Carter Mountain in the background. Viewed from Carter Dome. From Carter Dome, there’s the option of following the Carter-Moriah Trail to Zeta Pass, or staying on the Appalachian Trail to go over Mt. Hight. In good weather, the AT option is a no brainer, the northbound climb of Hight is uneventful, and the views of Mt. Washington and the Northern Presidential Range are spectacular. Southbound hikers have more of a decision to make, as the o.8-mile ascent from Zeta Pass is the type of steep and rocky ascent that on a humid day can have you questioning the meaning of life. That said, hydrate up because the photo below shows it’s worth the extra sweat. We had a cool view of Mt. Washington and the Northern Presidential Range from Mt. Hight. The under cloud seemed to be moving through, but it never actually made any progress. 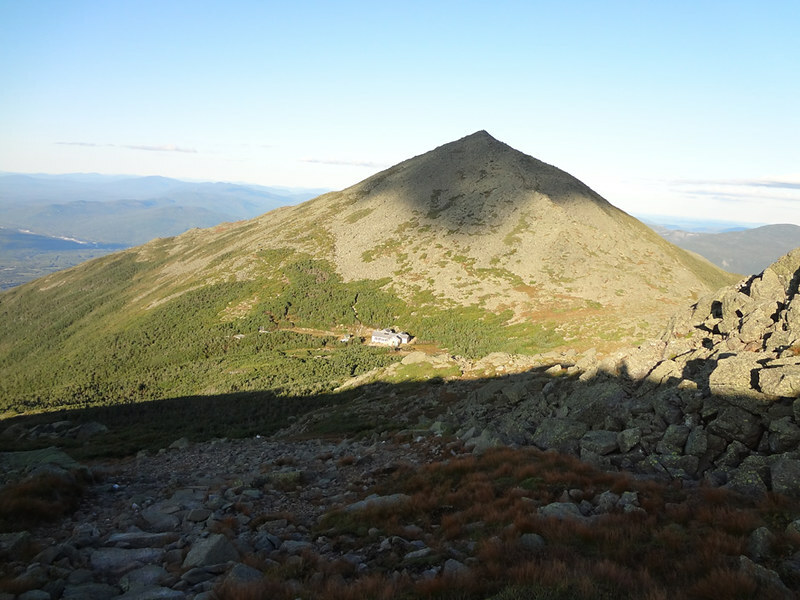 The hike from Zeta Pass along the Appalachian Trail over South Carter and Middle Carter Mountains is a fun ridge walk, featuring a bunch of short climbs that bring hikers into the open several times with great views. It’s the stretch from somewhere around North Carter Mountain to Imp Mountain where all hell breaks loose in an endless succession of formidable ledge climbs. 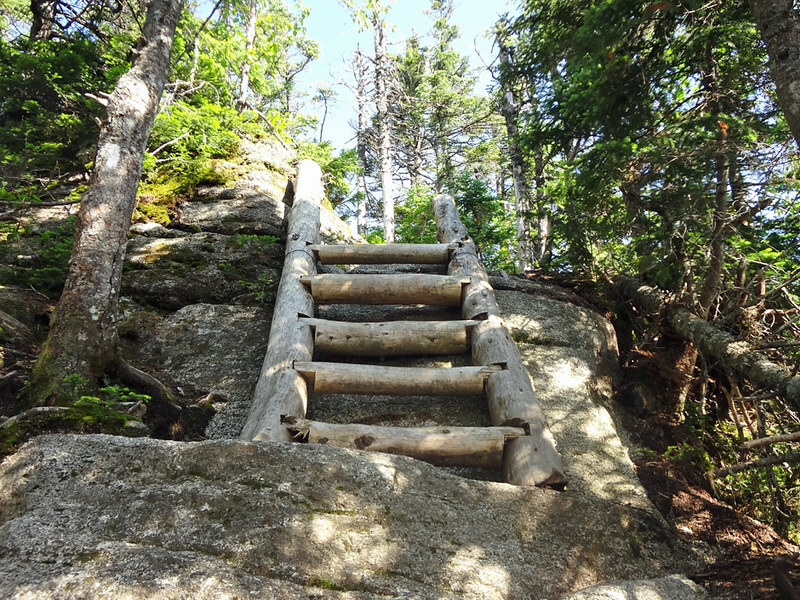 These are tricky on the descent, and thus, anyone looping this hike would be smart to do it in the reverse direction. Our original plan was to stay at the Imp Campsite, tag Mt. Moriah in the morning, and follow the Shelburne Trail down to close the loop. But a quick check of the weather report showed rainfall all night and through the morning. I’d been in this exact same situation before at Imp, and the decision to tough it out didn’t go so well for me. So this time, we followed the “better safe than sorry” philosophy, pushed on and arranged a pickup at the bottom of the Stony Brook Trail. And of course, it hardly rained. On the plus side, we got introduced to the Stony Brook Trail, which is a great hike on its own, paralleling Stony Brook for much of it. Alas, I was too tired to take any photos by this point, so a review of this trail will have to wait for another day. This is what a disgruntled circus clown looks like after he’s been re-released into the wild. My apologies if you’re now unable to sleep at night.